One-of-a-Kind cell bling. Let everyone know you are a reader, or enjoy the psychic arts. Fits any device with a 3.5 jack. A wonderful novelty, perfect for your favourite reader, or yourself. 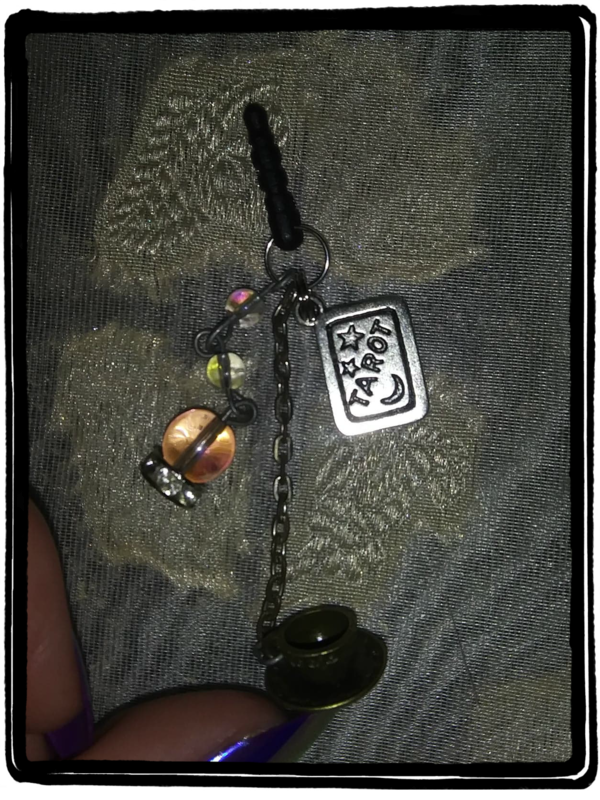 Metal tarot charm, tea cup and saucer, pink glass "crystal ball", accented with iridescent glass beads. One-of-a-Kind cell bling. Protect yourself from the Evil Eye and other negativity with this novelty cell bling. 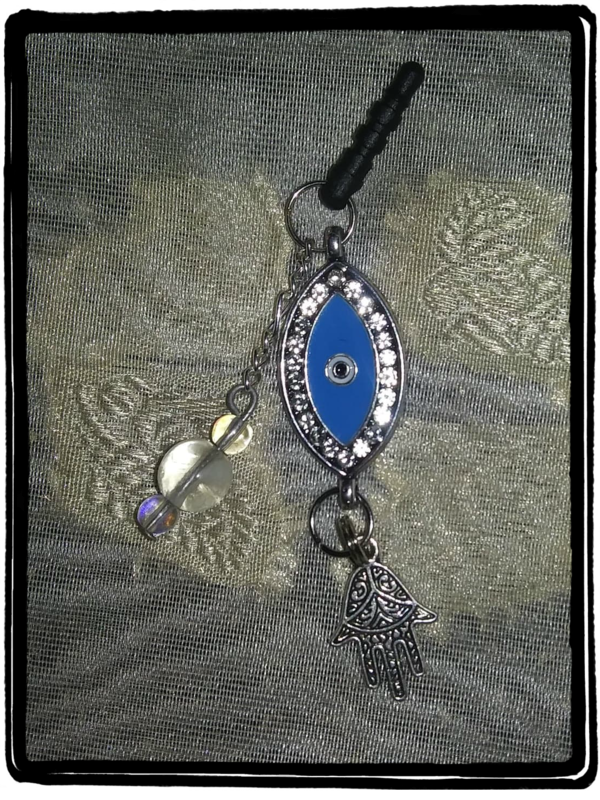 Metal Evil Eye charm with rhinestone accents, metal Hamsa hand, and large Czech glass bead that glows in the dark after exposure to light! Fits any device with a 3.5 jack. One-of-a-Kind cell bling. Show how ZEN you are with this Aura Crystal Cellphone Bling that fits any standard 3.5 earbud jack. 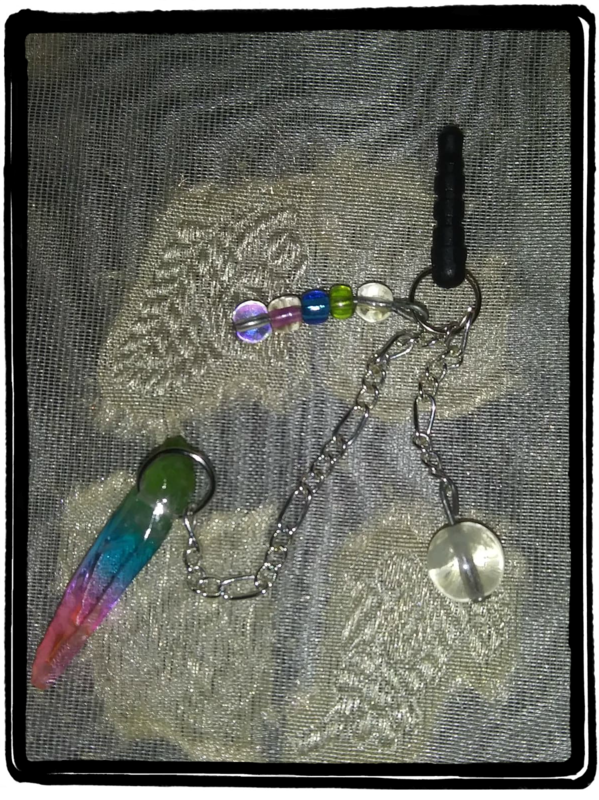 Aura Crystal, iridescent glass seed beads, silver chain, and a Czech glass bead that beautifully glows when exposed to light! Aura Zen? Spread your Zen with this one-of-a-kind Aura Crystal Earring pair. 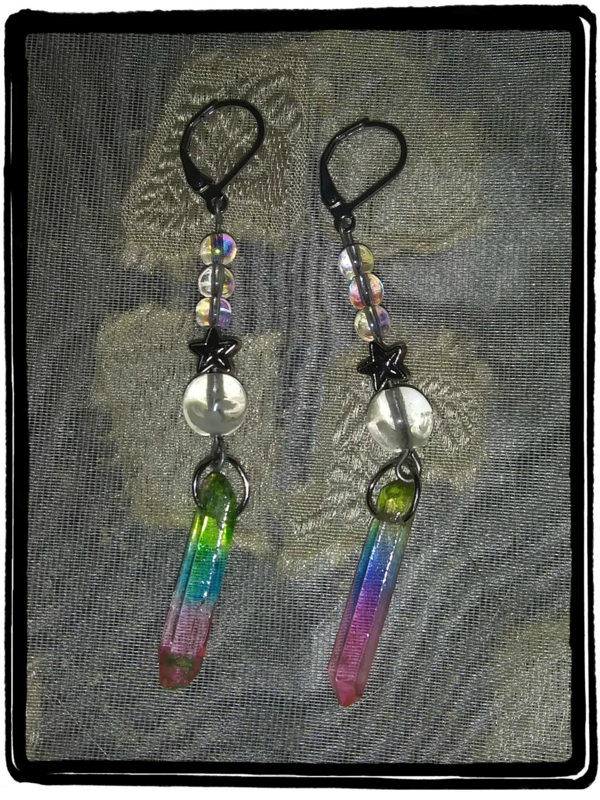 Stainless steel lever back hooks with Aura Crystals, iridescent glass seed beads, silver chain, silver star beads, and Czech glass beads that beautifully glow when exposed to light!